I just received this from ePocrates, makers of handheld and online medical and drug databases. The Epocrates Dx content in your handheld product has been significantly updated with new content from the 5-Minute Clinical Consult 2008 . To install this update for free, simply AutoUpdate (sync while connected to the Internet). The folks at Shofu have developed a pretty neat product. It's a sealant and composite liquid polish called "ClearCheck SLP". It works as a traditional sealant, but it has one very special trick. It allows Diagnodent readings to be determined beneath it. Let me explain. The drawbacks to sealants and the Kavo Diagnodent has always been that sealants will fluoresce under the laser light of the Diagnodent and this can mean false positives in areas that have sealants. However, ClearCheck SLP does not fluoresce and since it is clear you can use the Diagnodent to check through the sealant and make sure that a carious lesion is not developing there due to a fracture or leakage. My personal hands-on with the ClearCheck has been a good experience. I even went so far as to place it on extracted teeth that were checked with the Diagnodent and then rechecked after sealant placement. Works as advertised in my hands. Shofu if offering a free trial of the product. Here is a link to the offer. Zila, the company that manufactures ViziLite oral cancer screening, has gotten FDA 510 (K) clearance to sell special eye wear to make the usage of the ViziLite product easier. Zila, Inc. (NASDAQ:ZILA) announced that the U.S. Food and Drug Administration (FDA) has granted the company 510(k) clearance to market ViziLite Eyewear. ViziLite Eyewear is reusable filtered eyewear to be worn by a health care professional to eliminate ambient light while performing an oral exam under chemiluminescence when a darkened room is not available. "ViziLite Eyewear helps health care professionals administer ViziLite® Plus, our oral cancer screening product, in less than ideal lighting environments," said David Bethune, chairman and chief executive officer of Zila. "ViziLite Eyewear complements our product offering and will be marketed by the company's direct sales force." ViziLite Eyewear only allows transmission of light necessary for a ViziLite examination while blocking interfering ambient light from the practitioner's field of view. One American dies every hour of oral cancer and while tobacco and alcohol use are known risk factors, one quarter of all oral cancer cases occur in men and women with no risk behaviors. According to American Cancer Society data, nearly as many women will be diagnosed with oral cancer as with cervical cancer this year. The key to reducing the impact of this disease is early detection. ViziLite Plus is an oral screening technology that utilizes a chemiluminescent light source (ViziLite) and a patented pharmaceutical-grade vital tissue dye (TBlue). The ViziLite Plus exam takes only minutes and is totally painless and non-invasive. Zila began marketing the product through its direct sales force in the U.S. in February 2007, in Canada in November 2007, and will launch ViziLite Plus in Europe in May 2008. Zila, Inc. is a fully integrated oral diagnostic company dedicated to the prevention, detection and treatment of oral cancer and periodontal disease. ViziLite® Plus, the company's flagship product for the early detection of oral abnormalities that could lead to cancer, is the first and only adjunctive medical device cleared by the FDA for use in a population at increased risk for oral cancer. In addition, Zila designs, manufactures and markets a suite of proprietary products sold exclusively and directly to dental professionals for periodontal disease, including the Rota-dent® Professional Powered Brush, the Pro-Select® Platinum ultrasonic scaler and a portfolio of oral pharmaceutical products for both in-office and home-care use. Rumors are now floating that we *still* haven't seen the end of Windows XP. The OS that refuses to go away, was supposed to be discontinued this summer, but now that is only a maybe. It seems there are unsubstantiated rumors that Dell has told some folks they will be offering XP until 2012 or until Windows latest upgrade (called Windows 7) is available. I've written before about how the corporate world has fought adoption of Vista, but now it looks like it's been so poorly received that Dell is getting lots of requests for XP. This one looks pretty interesting. Personally, I still don't have a machine running Vista. For the past year, I've been using a free service called Twitter. The concept is interesting and, to a geek like me, fun. Twitter is a microblogging service that allows you to send updates in 140 characters or less. These updates are received by others who subscribe and "follow" you. Here on the blog, to the right of this post and under my Flickr Photostream, you'll see my last 5 Twitter posts (you can also choose to follow me on Twitter). While this has been a fun way to tell people what I'm doing on a moment by moment basis, I've also been asked "what good is it if you're not a geek?" Well, it turns out that Twitter can have an impact in a dire situation. Take a look at this article on CNN that shows how Twitter may very well have saved a young man's life. Then, if you want to follow me on Twitter, look to the right and down a bit, just under my photostream. We've all had that scenario play out for us. Just yesterday I had a battery backup on the server go bad and shut down Eaglesoft and the entire practice for a few minutes while I got things plugged into something else (a big thanks to John @ Goetze Dental's Technology Division who came out post haste with a new UPS). No this isn't about an animal, it's about SPOT watches. At one time Microsoft partnered with some watch companies and created the idea of SPOT (Smart Personal Object Technology). Basically these were big geeky looking LCD watches that got updates wirelessly. You could get weather and other info directly on your wrist. Unfortunately these things were pretty ugly and they had to be plugged in and recharged frequently (like several times a week). That's not quite the same as a perpetual motion watch. These things were so ugly and bulky, even *I* didn't buy one. MS has now announced they are pulling the plug on the SPOT watch. If you have one, the service will continue, but no new ones are being made. The technology itself will continue with GPS and other devices, but the SPOT watch is dead. Have books that need to be digitized? This looks to be a nice solution. LOS ANGELES (May 6, 2008) – Plustek Technology Inc. (www.plustek.com/usa), a manufacturer of consumer, prosumer and professional imaging devices, is extending their line of professional scanners with the launch of the new OpticBook 4600. Everyone has borrowed a book from the library at one point or another. Most people have made a photocopy of that book for later use. The copy eventually gets torn, tattered, or even lost and is no longer usable. Over the years, life has changed and so has the way we store and carry data – in electronic files. 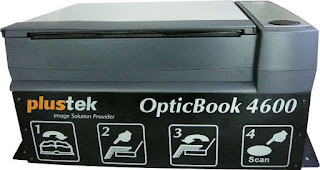 The OpticBook 4600 makes it simple to scan, save and store any papers, books, magazines, comics and the like. Plustek’s patent-pending SEE™ Technology (Shadow Elimination Element) combines a patented lamp light with a special edge design that allows the scanning module to scan right up to where the book spine is placed. This clever design avoids the need for a large, expensive overhead scanner or complicated image-editing software. With Plustek’s SEE™ Technology and the OpticBook’s clearly-scanned pages, those who use OCR (optical character recognition) software to scan text for editing will see perfect results, even near the binding. There is no paper required; users can scan their files onto hard drive, or any portable storage media, saving time and reducing paper waste. The scanner also optimizes space because of the smaller footprint as compared to a photocopier. To improve distribution of scanned documents, OpticBook includes a feature that saves images in the popular and cross-platform Searchable PDF format, as well. Users never have to carry a stack of papers around again. Referring back to files, even after years, has never been so easy. 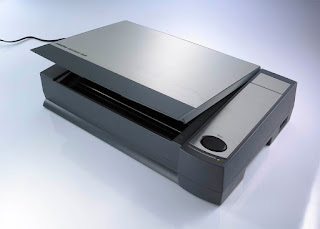 In addition to its power as book scanner, the OpticBook 4600 also functions as a superior scanner with a scanning speed of 3.2 seconds at a resolution of 300dpi/ color and features one-button functionality that can assign up to five scanning functions. Plustek products can be purchased directly from the Plustek e-store and is in full distribution with Ingram Micro & D&H. The new scanner is also available from TigerDirect, New Egg, PC mall, Buy.com other major e-tailers. Stores and other vendors interested in carrying Plustek’s award-winning line-up of products may contact Plustek directly at sales@plustek.com. HumanaDental Insurance Co., part of the Humana Specialty Benefits family of supplemental benefits offered by Humana Inc. (NYSE: HUM), will provide oral-cancer screening to HumanaDental members (age 40 and older) enrolled in the company's fully insured dental plans. "One person dies of oral cancer every hour in the United States," said Mark Matzke, chief operating officer, HumanaDental. "Because early detection is the key to fighting this disease, we're pleased to offer this coverage as part of our commitment to promoting oral health, which is directly linked to overall health." "ViziLite® Plus with TBlue630" - the cancer-screening procedure - is simple, quick, pain-free and effective. HumanaDental will cover the screening once a year beginning April 1, 2008. An annual ViziLite Plus exam, after a conventional visual examination, represents an integral part of comprehensive oral-cancer screenings. The screenings help dentists detect oral cancer in its early stages, as well as precancerous tissue. After the patient rinses with a special solution, the dentist examines the mouth with a disposable light stick. Under the light, abnormal tissue appears bright white; the dentist marks it with a temporary dye called TBlue630. A recently published clinical study revealed that using ViziLite Plus with TBlue630 detected 100 percent of cancers and lesions at highest risk of becoming cancer. Oral cancer is found primarily in tobacco users or heavy drinkers, but new research shows a common strain of the sexually transmitted HPV virus also accounts for a significant percentage of all oral cancer cases in the U.S.
ViziLite Plus with TBlue630 is a product of Zila Pharmaceuticals (Nasdaq: ZILA); more information is available at www.vizilite.com. To learn more about oral cancer, visit www.oralcancerfoundation.org. ...Microsoft and Google, the authors note, are not bound by the privacy restrictions of the Health Insurance Portability and Accountability Act, or Hipaa, the main law that regulates personal data handling and patient privacy. Hipaa, enacted in 1996, did not anticipate Web-based health records systems like the ones Microsoft and Google now offer. Here’s what the latest firmware will do for your D3. Be sure to upgrade both A and B. A “Vignette Control” item has been added to the ” Shooting Menu”. A focus point brightness item has been added to the “a6: Focus point illumination” setting in the “Autofocus” category in the ” Custom Settings”. The ” Highlights” playback display option has been moved from “Display mode > Basic photo info > Highlights” in the playback menu to “Display Mode > Detailed photo info > Highlights”. When shutter speed and/or aperture are locked when shooting in LiveView mode, using the “L” (command lock) button, an “L” icon is now displayed in the camera monitor. The size and color of “Demo” displayed in the monitor with playback, when “No memory card?” in the “Custom Settings” is set to “Enable Release”, have been modified. The range of settings available for “ISO sensitivity settings > ISO sensitivity auto control > Minimum shutter speed” in the Shooting Menu has been increased from 1/250th - 1s to 1/4000s - 1s. When a compatible Speedlight or Wireless Speedlight Commander is used, the AF assist illuminator now lights regardless of focal length. 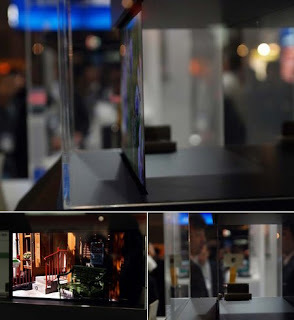 When shooting in hand-held LiveView mode and the frame is magnified prior to autofocusing, operation has been modified so that display returns to the magnified display rather than full-frame display. In some rare cases, white balance was not accurately calculated for images captured at a shutter speed of around 1/4s in P and A exposure modes. This issue has been resolved. When attempting to crop images at an aspect ratio of 4:3 using the “Trim” option in the “Retouch” menu, the cropped image did not have an accurate 4:3 aspect ratio. This issue has been resolved. Kingston's got a thing for über-secure flash drives, and its latest DataTraveler definitely keeps the trend alive. The waterproof BlackBox is the outfit's first Federal Information Processing Standard (FIPS)-validated drive, which means that it was given the seal of approval from the National Institute of Standards and Technology and the Communications Security Establishment of the Government of Canada. More specifically, you'll find "256-bit hardware-based AES encryption via a dedicated processor which automatically encrypts and decrypts data on the fly" and it'll also enter lock down mode if you happen to forget your password ten consecutive times. Of course, Kingston's pretty proud of this thing, so don't be shocked when you see the $165 (2GB), $242 (4GB) and $424 (8GB) price tags, alright? Alright. Canon Communications' Medical Design Excellence Awards have selected the STA (Single Tooth Anesthesia) system for as a winner. I've been using the device for almost a year now and I can say with confidence I understand how they won this award. 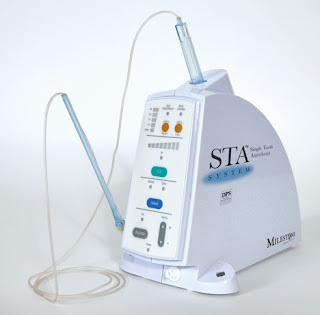 The STA is a computerized local anesthetic delivery system that allows all types of injections including PDL. The PDL function has audible indicators that let you know when the needle is correctly placed. I have lots of patient feedback on the device and it has been overwhelmingly positive. If you have the opportunity, take a look at the STA. 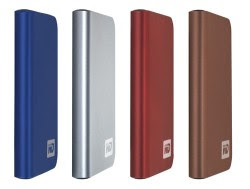 In the continuing progression of portable drives that get smaller in footprint while their drive space increases, I present the Western Digital My Passport line. These devices are tiny and are powered from the the USB port so they require no power of their own. They are also tiny, available in multiple colors, and have a capacity gauge indicating how much room is left. Add to all of that a security feature that lets you encrypt their contents and this becomes a nice idea for secure backups. They are available in 250GB for $170 and 320GB for $200. Here is the WD page with all the details. OK, this isn't dental or health related, but I'm a geek and geekiness rules my personal life too. For those who are hunters or are worried about possibly having their dog go walkabout, here is the answer to your location worries. I was in Roanoke, Virginia yesterday with my friends and partners Paul Feuerstein and Marty Jablow doing a lecture as Dental Technology Solutions. DTS is a lecture program that features the 3 amigos with each of us using our expertise to educate doctors on the advantages and implementation of technology. One of the pieces we covered yesterday was my lecture on digital operatory design and layout. With overhead monitors for patient education and entertainment one of the attendees wanted to know how to avoid entanglement with the track light. The answer is auxiliary lighting. Many doctors use some type of this, but the problem in this environment is what happens when the doctor isn't there with his/her light. High Q Dental, the company that brought Reality’s 5-Star rated fiber optic headlight to dentistry, is pleased to offer the Starbright single watt LED headlight. Powered by three AAA batteries and featuring a 1-watt Luxeon LED (Light Emitting Diode) the Starbright is the ultimate complimentary headlight. Delivering 500 foot candles of light, the Starbright is ideal for exams, hygiene, students and for field work such as service to nursing homes, schools or on missions to remote areas. On fresh batteries, the Starbright will deliver 1 - 20 hours of brilliant line-of-sight intensity. And, because it uses LED technology, there’s never a bulb to change! “The Starbright has really found its niche with the Dental practitioner and particularly with Students as a low cost, effect way to introduce light into the field”, says Andy Cooper, High Q President. 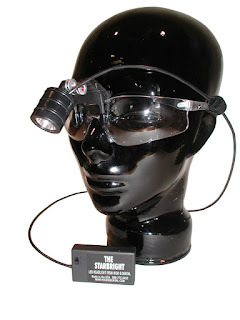 The headband model integrates the small battery pack onto the headband making the Starbright completely self contained. The clip-on version provides enough wire to the battery allowing it to easily be placed in a pocket or clipped your belt or shirt. For thirty five years, High Q Dental engineers have specialized in headlight illumination systems for the dental and medical fields including the Altair SA Fiber Optic Headlight, Reality Publishing’s choice as the top headlight in dentistry for the past five years. High Q delivers a complete line of illumination products including the Altair SA and HI Fiber Optic Headlight Systems, the Oralume Lighted Mirror and Transillumination System and Ray, the new 3-watt, full practice, LED Headlight. For more information, please see our web site at www.highqdental.com, call High Q at 1-800-775-3433, fax 480-905-0794 or E-mail at HQM1@cox.net. My pal Paul doing his part of the DTS lecture. This is a weird time for Yahoo. The once powerful web destination has been fending off an attack for ownership by Microsoft for a while now. Rumors of a hostile takeover have been flying. Now comes word from the Wall Street Journal that AOL may be merging with Yahoo to form a super Internet company. Supposedly Time Warner would sell AOL to Yahoo and then add a bunch of cash. I'm not sure what this all means, but Yahoo needs help. They were once a hip center of Internet culture, but they've become stale; not really seeming to know who they want to appeal to. Of course it's not like AOL is exactly setting the world on fire either, but maybe together they can make something happen. I reported a couple of weeks ago that Google had announced synchronization download that would allow you to keep your Outlook calendar and Google calendar identical. With so many computers & devices in my life, having them all be identical makes my life much less complicated (and really isn't that what all this technology is for?). I keep my Mac calendar (iCal) updated with Google via a program called Spanning Sync and I also have my video iPod set up to sync with iCal. However, my Treo 700P syncs with Outlook 2003 and therein the problem lies. Well I'm happy to report that the Google sync for Outlook has worked very well. There has been the occasional hiccup where it doesn't connect, but that looks like it may be on my end and not with Google. Now all of my calendars are identical no matter where I go... and that is how it's all supposed to work. If you live in a Windows world and want you Google calendar synced, download the app from Google. While in Phoenix over the weekend, I got a chance to catch up with the bright minds at High Q Dental. They have several slick products that I'll be blogging on in the next few days. The first of which is the Oralume System. High Q introduces the dentists’ new favorite diagnostic tool: the Oralume Lighted Mirror and Transillumination System. The Oralume is a cordless system that accepts any threaded, cone-socket mirror (one is included) and features a white LED to illuminate the reflected field. The sealed battery in the handle makes the entire unit completely portable. By simply placing the included Transillumination Tip over the LED on the handle, the Oralume becomes and effective tool for detecting cracks and caries. “The Oralume was effective during patient examinations and is great for spot hygiene exams. The Transillumination Tip was much brighter than what we had been using”, says Dr. Paul Feuerstein. The Oralume is available in a kit that includes three of the disposable Oralume handles, one mirror head and one transillumination tip. The Oralume handle can be wiped down for sterilization or bagged; the mirror and TI Tip can be autoclaved. Each Oralume handle provides 20 consecutive hours or illumination before being replaced. When used as an examination light, this may translate into several months of use before replacement is necessary. High Q delivers a complete line of illumination products including the Altair SA and HI Fiber Optic Headlight Systems, the Starbright LED Headlight, and Ray, the new 3-watt, full practice, LED Headlight. If you are looking to save counter top space in your operatories (and in most cases who isn't) this may be a way to keep our USB connections out of sight, but easy to get to. In the past I've been known to use 2 sided tape or even adhesive Velcro to attach/hide different computer components. These $12 USB hubs might change that. They have magnets in them so that they can be placed and hung anywhere there is metal. 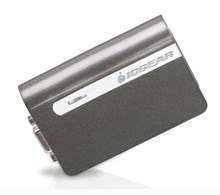 These hubs have 4 ports and are available in black or white. Available for online ordering here. I'm back home after a brief trip to Phoenix and the Arizona Dental Association meeting. It was a fun trip, although too short. I had a chance to hang out with a couple of my best buddies *and* I got a chance to finally have dinner at Alice Cooper's restaurant down by Chase Field. It's appropriately called "Alice Cooperstown". Thanks to everyone who came to my lectures. I had a blast. It seems the Texas Dental Association had a "Dancing with the Stars" contest. My friend Andy has graciously given me permission to post this. In my opinion, he's pretty good! Here is some interesting info from a company called Jaw-X. Their idea? Help determine osteoporosis by taking the info available from dental images. Based on the conclusions of the Osteodent project a software program has been developed which uses either intraoral images of a defined region in the lower jaw (mandible) to measure trabecular density in the bone, or uses extraoral panorama images to measure the mandiblular corticalis width. The resulting measurement values from these images are analyzed using the standard threshold value for Osteoporosis defined by WHO. The method is being further tested clinically in a current scientific project with a number of participating dentists. The method and the computer program has now been standardized and “packaged” as an integrated product called “Jaw-x”. The Jaw-x package is sold with a license for use of the analysis program and the case history questionnaire, and includes one mandatory training day. On a digital X-ray image on computer a specific region (ROI) is defined where the trabecular structure is evident. The image coordinates are logged/saved providing a basis for taking congruent pictures at a later time for measurement and comparison. We're at an AT&T lunch, and AT&T Mobility CEO Ralph de la Vega just dropped some meaty bits. He had mentioned earlier in the event that he expected all of their smart integrated devices to be 3G in the next couple months. Sascha Segan from PC Mag asked it that included the iPhone. De la Vega responded, "Let me repeat what I said: I think that you're going to see our integrated devices be 3G devices in the not-too-distant future, and I mean months. That should be clear enough." Clear enough for me. iPhone users get ready for the next big upgrade. Me? 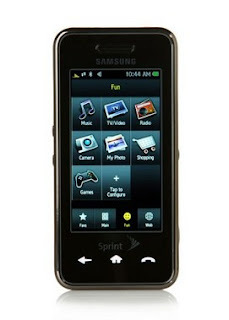 I'm still holding out for the Samsung Instinct on the Sprint network. When I first saw this, I thought it was an April Fool's joke, but now it appears to be for real. This is the Samsung Instinct. Look familiar? This device will help Sprint compete with the iPhone. The device comes with EV-DO Rev. A, a full HTML browser, Visual Voicemail, TV, GPS, navigation and more. That more would be Bluetooth, audible caller ID, memory that is expandable up to 8GB, a 2MP still camera/video camera, voice activated functions, and the abilitly to function as a modem. The big plus for me is the Sprint network. I love the iPhone, but the AT&T network is too slow currently for me. That's why I've stayed with Sprint and my now ancient Treo 700P. However, you can bet I'll be standing in line for the Instinct. A cool phone with a great network is just what I've been waiting for. Availability is rumored to be June. When I first saw this, I thought it was an April Fool's joke posted a day early. Then I realized that when it was posted in China (which is where this originated) it already was April 1. 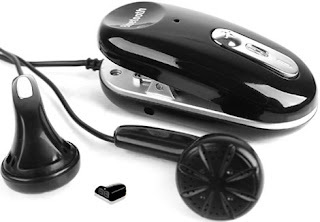 The gist of the post was that the little black "thingy" between the earbuds above is a microphone that is installed in your tooth by a dentist thus allowing you to always have your bluetooth microphone with you. Nice try for a pretty creative April Fool's joke!